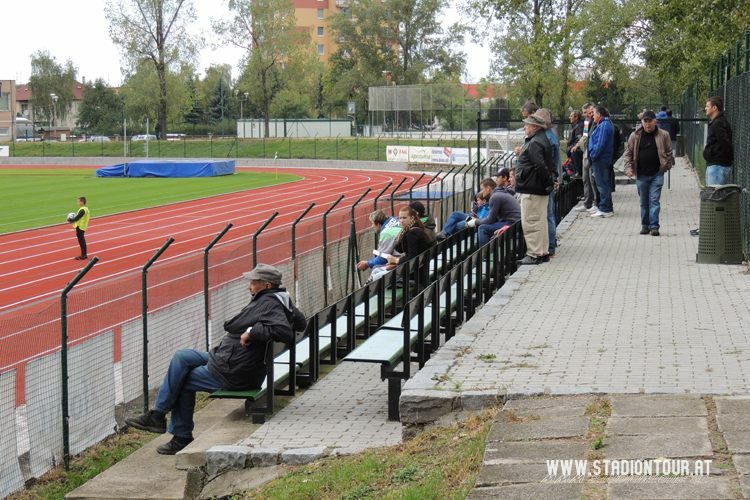 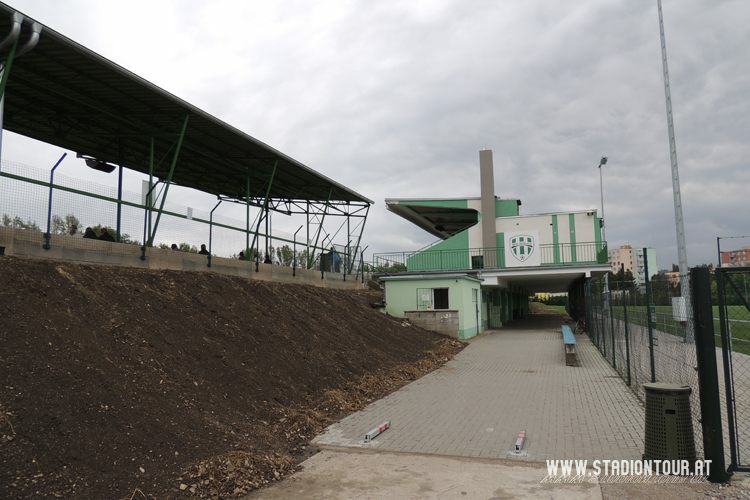 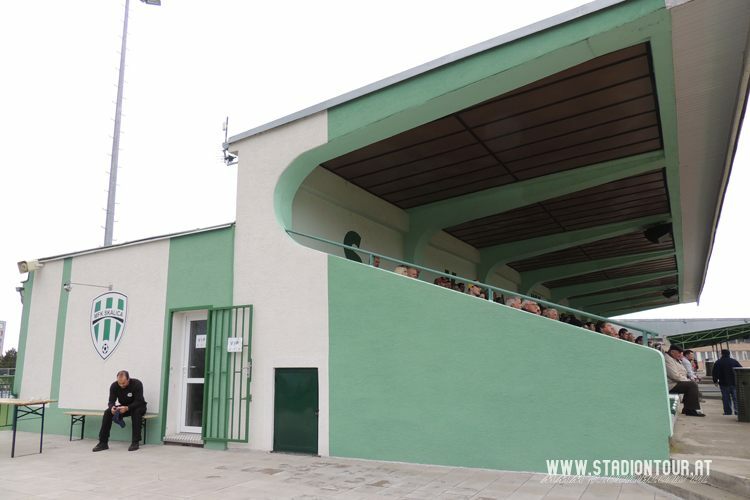 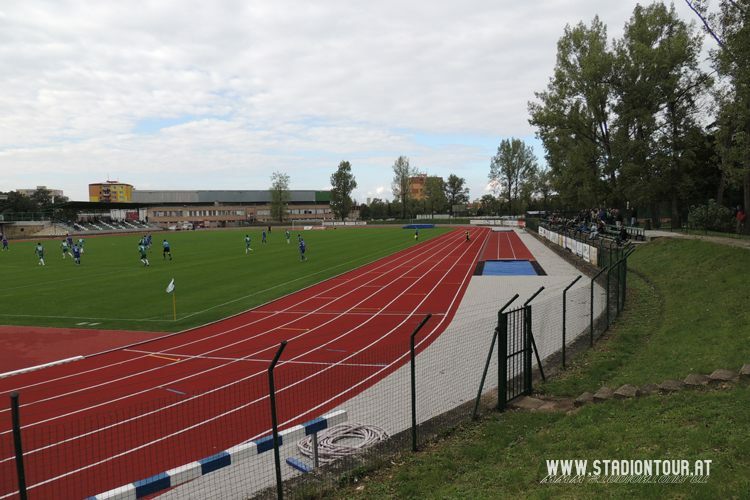 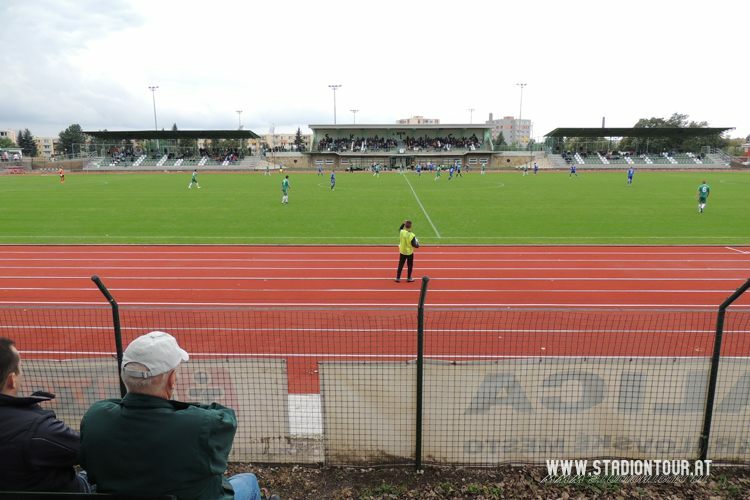 The municipal stadium in Skalica is located south of the town centre and roughly 3km (2 miles) south of the Slovak-Czech border. 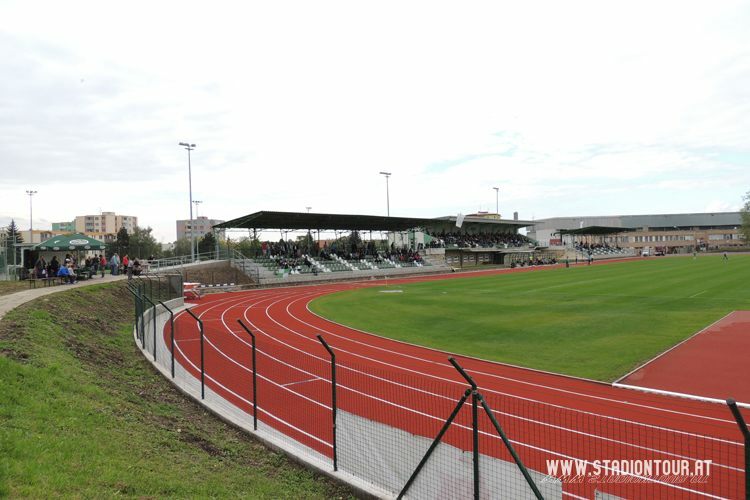 Until 2014 it had only one minor grandstand in the west, but was then expanded. 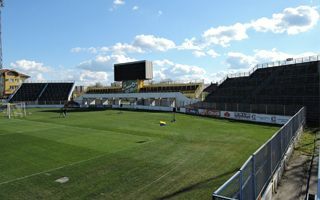 Two additional covered sections were added on both sides of the main grandstand and small open terrace was created in the east. 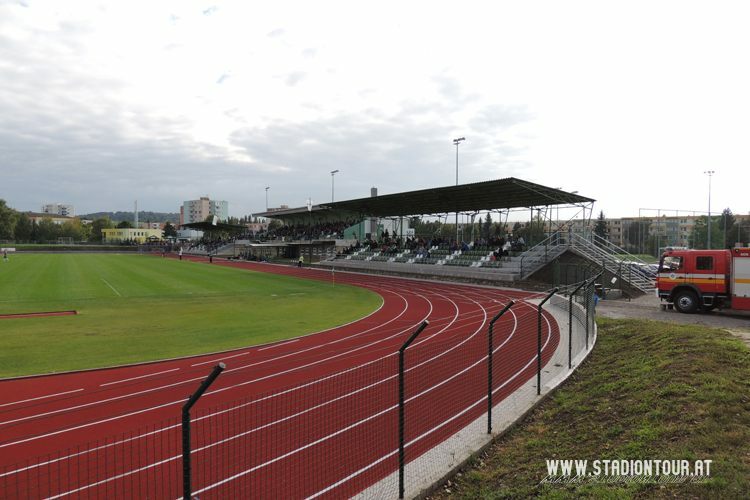 Also, the stadium was equipped with 6-lane running track to accommodate local athletics. 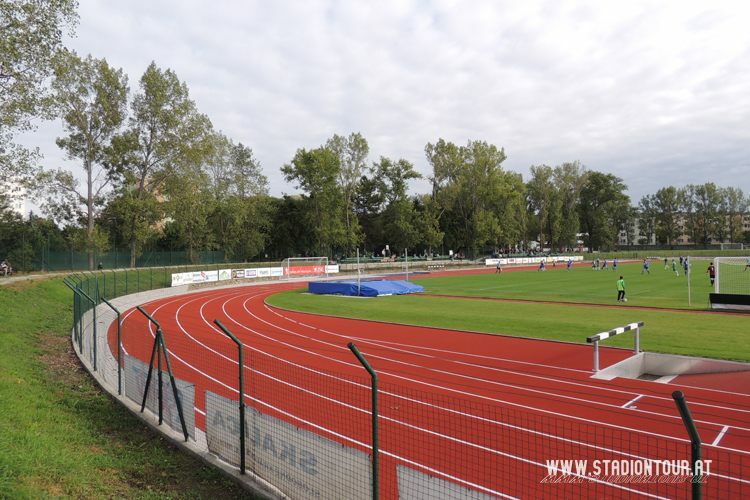 It stands among other sporting venues like training field, hockey arena and tennis courts. 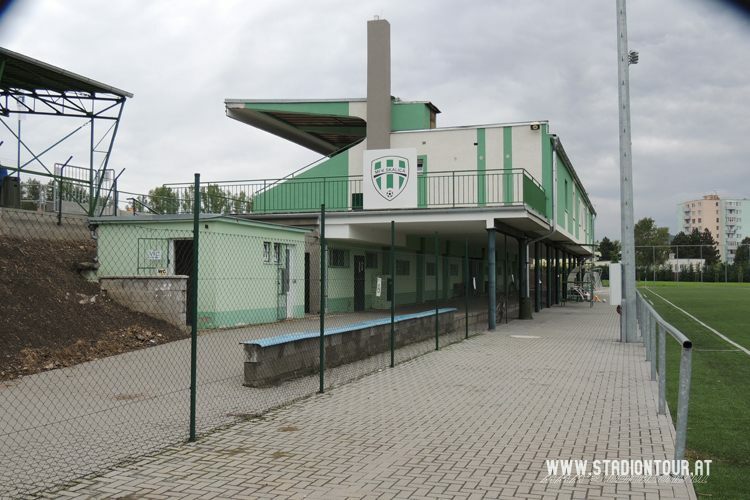 Please note the capacity given is based on estimations only as the club and township didn’t provide other data. 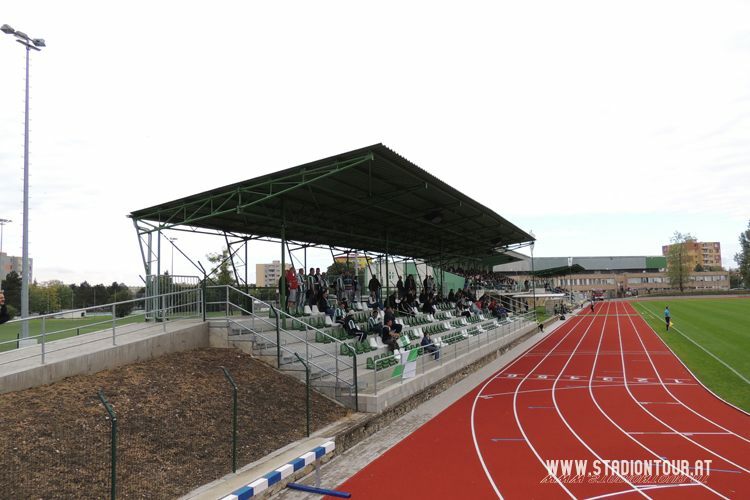 There are under 1,000 seats and standing room along the entire field.